Now that spring is in full swing, you want your own unique personal style to look and feel fantastic this summer! You’re itching to get some new things, so you hit boutiques, the mall, or outlets, yeah? But much of what you see in the stores is so not right for you. Lots of “on trend fashion” right now seems weird, wild, or immature; for punk rockers, European film stars, or teens. But you don’t want to look stogy, traditional or old, either! Fashion magazines for both guys and ladies aren’t much help because they’re showing designer fashion, not everyday outfits— what people actually put on their bodies. Some of what you see is just downright ridiculous; not at all flattering and not what you’d actually want to be seen in with clients, friends, or dates. Let’s get real. You want to look terrific, but how do you even know what that means? Here’s an easy and practically cost-free way to identify your own personal style and how you’d like to be seen for work and weekends. This will also help you put together “new” outfits that you haven’t even considered before because you didn’t have the inspiration. Go online to either Pinterest or Google, using the keywords (men’s or women’s) style. Or if you’d like a more hands-on approach, find pictures of outfits, looks, and styles that you love and would like to see yourself wearing, in magazines or catalogs and cut them out. If you’re working online, create and save a folder for these photos. Find pictures of clothes, shoes, accessories, hairstyles, head-to-toe images, and individual pieces that you really like. Print or cut out the pictures of whatever it is that you think, “Oh, I really love that!” Don’t worry if it’s the right color or shape for you, we first want to get a sense of what category of style you really click with. Collect at least 15 pictures, maybe as many as 25 or 30. Spread them out on a large table and take a good, hard, critical look at what’s there. What do you notice is repeated in many of the images you selected? What are you seeing over and over? Stripes, collars, no collars, lots of bling, or flowing fabrics? Write out which style categories your choices seem to belong in. Maybe it’s two or three words “with a twist” of something else. Edit out any pictures that, on second thought, aren’t really you. Maybe add another style category to your list, if that seems right. Now get yourself an old-fashioned bulletin board, like the one you had growing up, at least 16” X 22” or larger if you like, and some push pins. Write your identified style categories on the top of the bulletin board, on the frame. Put your photos up on your board and hang the board in or near your closet or just above your desk; somewhere you can see it easily every day. Add to this board weekly, monthly, or at the very least, seasonally. Use those pictures to inspire you to put together outfits in new and different ways to get the looks you love. Think what you’ve already got in your closet that you can put together to make a similar fashion statement. Use these images to guide you when shopping. What do you want more of, or need to balance out your wardrobe? Use your inspiration board to realize and assemble your own unique personal style to create looks that express the real you, head-to-toe, from the inside out. If you’d like help identifying your most flattering colors, shapes, understanding your natural element, or want success with shopping, I can help with all of those. As a certified personal image and wardrobe consultant, I’ve been successfully helping men and women like you for 12 years … with amazing results! 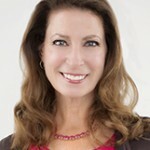 Please visit my website, marianrothschild.com, then give me a call (720) 933-9247, to discuss how to update and upgrade your personal and professional image.